Every teacher wants to make sure that the trips they plan leave students stimulated and entertained, as well as better educated. A ski trip to the right destination can leave your students with some wonderful memories of worthwhile experiences. Having the opportunity to go on a school ski trip is something which really appeals to many students. The key to a successful trip for teachers, on the other hand, is to make the trip enjoyable and educational. While it is important for students to be left with wonderful social memories and having experienced new and exciting things on the slopes, they should also return having enjoyed some educational and cultural experiences too. Finding the right balance comes in part from choosing the right destination and travel company. Choosing the right destination will, of course, depend on a number of factors. Firstly, there is always a budget to stick to and your choice of destination will depend on how much money is available. While Canada or the USA might look appealing, it is a long way to travel and there may be issues with European passports and visas to resolve too. Europe has some of the best skiing in the world though, with the Alps of France, Switzerland, Austria, Italy and Germany offering fantastic facilities. One factor which should also play a part in selecting the right destination for a school ski trip is how it can link in with other areas of work. While the PE department can clearly find many things which would link into their subject area on a ski trip, other subjects can also benefit. The potential for helping with modern foreign languages is huge, while history departments might also find many of the cities, towns or landmarks near to the resort useful to visit. Geography and economics students can also find plenty of potential projects to work on while they are away. By collaborating with other departments and areas of the curriculum, it is possible to make a very strong educational case for a ski trip. The choice of destination should therefore be carefully discussed with colleagues before being decided upon. By involving as much of the school as possible and incorporating cross-curricular projects, the educational value of the trip is increased massively, something which always impresses school governors. Once the destination has been sorted, then the next step is to find a reputable travel company to run the trip. 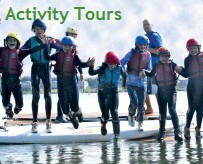 Many travel companies offer specially tailored packages for school travel, which often include other outings and visits in their itineraries. Finding the right company is crucial and should be handled with care. Use a specialist ski trip service provider if at all possible, as they can usually provide the best ski facilities. With the right preparation and planning and a collaborative approach, a ski trip can be a source of some wonderful memories for your students. Adriana Frederick is a teacher from Manchester, who has worked in a variety of subject areas over the last two decades. She now works in Special Needs Provision, as well as writing on educational and travel matters for a range of blogs and websites, including http://www.htstotalski.com/.